Tesla’s stock tumbled after CEO Elon Musk said he’s working himself to the bone and relies on Ambien to sleep. In an tearful interview with The New York Times, Musk said this has been “the most difficult and painful year” of his career. He said he works 120 hours some weeks and has trouble sleeping. Musk is also CEO of SpaceX and The Boring Company. 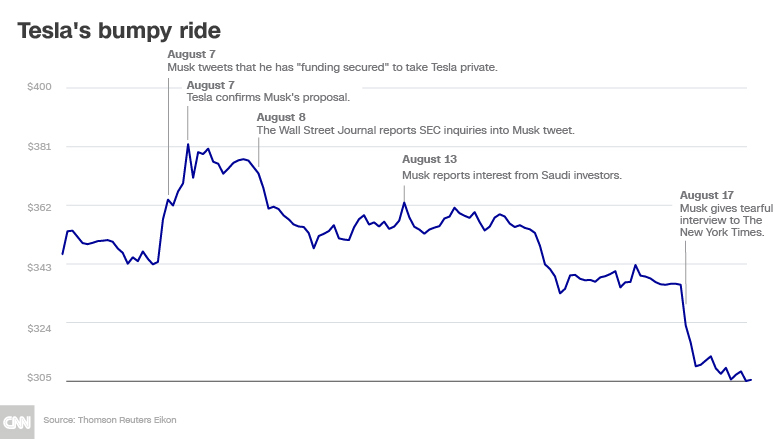 The stock closed down 9% on Friday, and it’s down 21% since the day Musk tweeted he had secured funding for a private takeover of Tesla (TSLA). Musk hasn’t exactly given investors confidence that he’s on the ball. He admitted in the Times interview that he hadn’t cleared his tweet with anyone at Tesla before firing it off midday August 7. Musk explained himself in a blog post this week, and he left the impression that he hadn’t exactly secured the funding. That is far more preliminary than his tweet led investors to believe. The board also said it hasn’t even fully explored whether to go private. That’s one of the reasons the stock has fallen so much after soaring 11% on the day of his tweet. But Musk’s tweet has also opened Tesla to increased scrutiny and lawsuits. 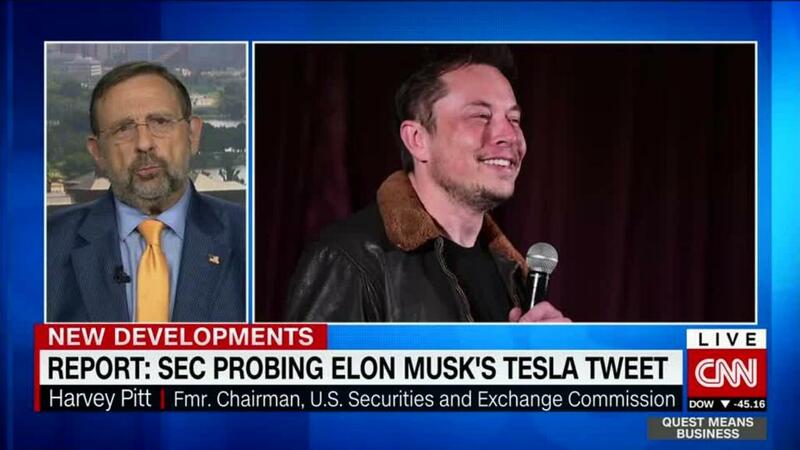 The SEC is reportedly investigating Musk’s tweet and had already been looking into Tesla’s Model 3 production troubles. SEC has declined comment to CNNMoney. The Times reported that some Tesla board members are concerned about Musk’s frequent use of Ambien as well as his occasional use of recreational drugs.